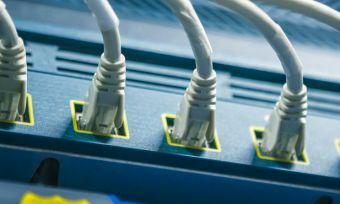 Broadband provider Spark says it is responding to the increased data demands of New Zealand households by increasing plan allowances by up to 50%. However, it comes at a cost for some. The majority of Spark’s broadband customers will receive more data from the revised plans. Home customers on a 40GB plan will receive a data increase to 60GB, while those on an 80GB plan will get an increase to 120GB, across ADSL, VDSL, fibre and wireless broadband. Business customers on 30GB bundles will receive a data increase to 50GB and those on 80GB plans will get an increase to 120GB, across ADSL, VDSL and wireless broadband. With the growing number of internet access options – ADSL and VDSL over copper, fibre and wireless broadband – customers have been telling Spark that the range of broadband plans has become harder to understand. Around 85% of Spark home customers and over 99% of business customers will either receive additional data at no extra cost – or won’t be affected by these changes, the telco says. However, Spark is introducing price increases for some broadband customers. As more customers use more data – and more customers move to unlimited plans – the cost to provide broadband services has increased, Spark says. All customers who are on a plan with a price increase will receive a credit on their bill for the same amount, so they won’t feel the additional cost until the changes come into effect on September 6 2017 for home customers, or September 2018 for business customers.